Do you have a large amount of credit card debt that you need to pay off? For the many individuals throughout Boulder and Denver who want help in paying off credit card debt, the Denver area’s number one debt settlement firm is prepared with the resources to assist you in negotiating a payoff. Contact an experienced debt attorney who can assess your financial situation and give you the personalized advice you need to successfully negotiate credit card payoff. Why choose Trident Debt Solutions? Trident Debt Solutions is the recognized authority in Denver and Boulder for clients seeking to negotiate credit card debt. Debt attorney Steve Craig is prepared with valuable legal and financial advice to help you make the best informed decisions regarding paying off credit card debt. Having provided assistance to Denver and Boulder, Colorado clients for a more than 20 years, he can successfully help you with your debt settlement needs. An experienced bankruptcy attorney with more than twenty years of experience working with bankruptcy law and negotiating credit card payoff, Steve Craig is the founder and leader of Trident Debt Solutions. He has helped hundreds of customers, who will readily account for his committed service in successfully helping them with credit card payoff negotiations. At Trident Debt Solutions, each client is guaranteed to receive personalized service and expert assistance from a skilled Colorado debt attorney. Stephen Craig begins the process by listening to your situation and discussing your financial history. Clients are then given candid and honest advice in the options that are available to assist them with credit card payoff. Some clients may prefer debt consolidation. However, many clients can benefit from Craig’s expert ability to negotiate credit card payoff with creditors. 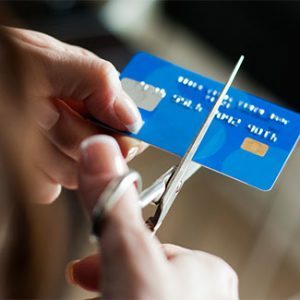 Throughout the process a clients’ financial health and sense of security are preeminent in dealing with credit card payoff negotiations with the client’s creditors. You can expect to settle debts for as low as 50 or 60 cents per dollar owed. When you bring Trident Debt Solutions into the debt settlement process, a skilled debt attorney with expertise in debt settlement will personally oversee the credit card payoff negotiation. Once you take the first step, you will have a representative to handle phone calls from aggressive creditors. Having an experienced firm like Trident Debt Solutions allows you to quickly finalize your debt with your creditors and stop any further harassing phone calls. Trident Debt Solutions will work with creditors to quickly resolve your debt so that you can rebuild your financial life. Craig has established himself in the debt resolution field for the last two decades. The Better Business Bureau has also signified their trust in Craig’s organization through an A+ rating. Trident Debt Solutions stands behind their commitment to assist clients in the most substantial manner possible. They offer a guarantee to all customers that if they cannot save them at least 30% of their total unsecured debt, they will not charge a thing. If you would like to begin the process of paying off your credit card debt and you want to travel on the road to financial recovery, contact Trident Debt Solutions at 303-872-8492.